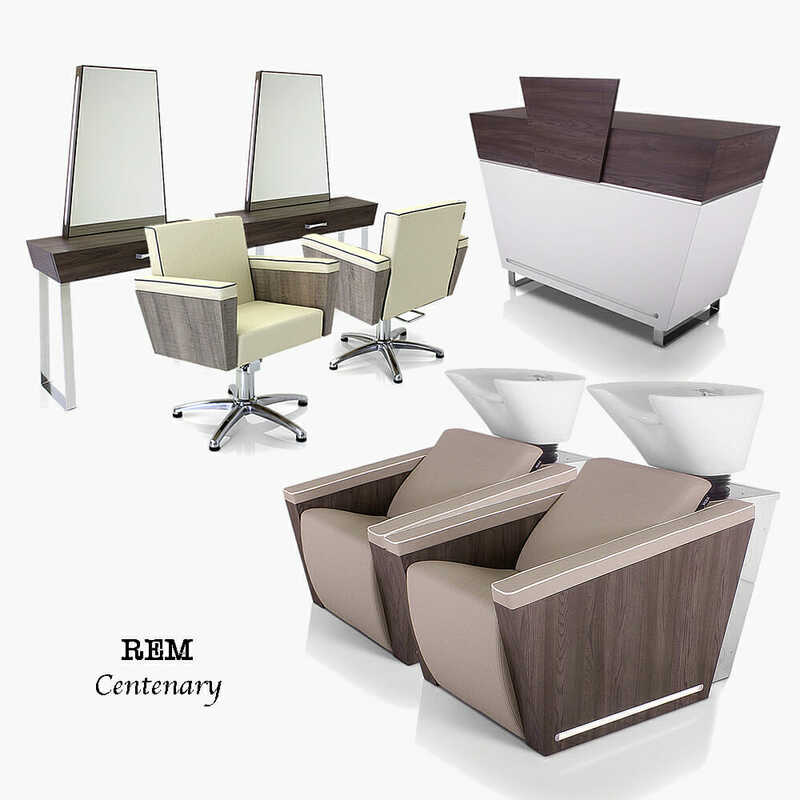 Since 1918 Rem’s predecessors have been involved in manafacturing salon equipment and furniture for the hairdressing industry. Below you will see Eugene F Suter who in 1918 was a swiss imigrant in London who started an exclusive hairdressing salon in the West End. He arrived from Paris which was the centre of fashion and style, and tried to produce a machine for electrical permanent waving but failed. 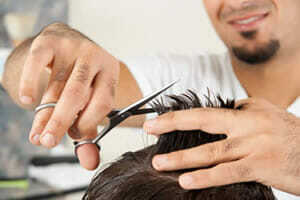 That is until he met Isidoro Calvete who had set up a workshop making and repairing hairdryers. 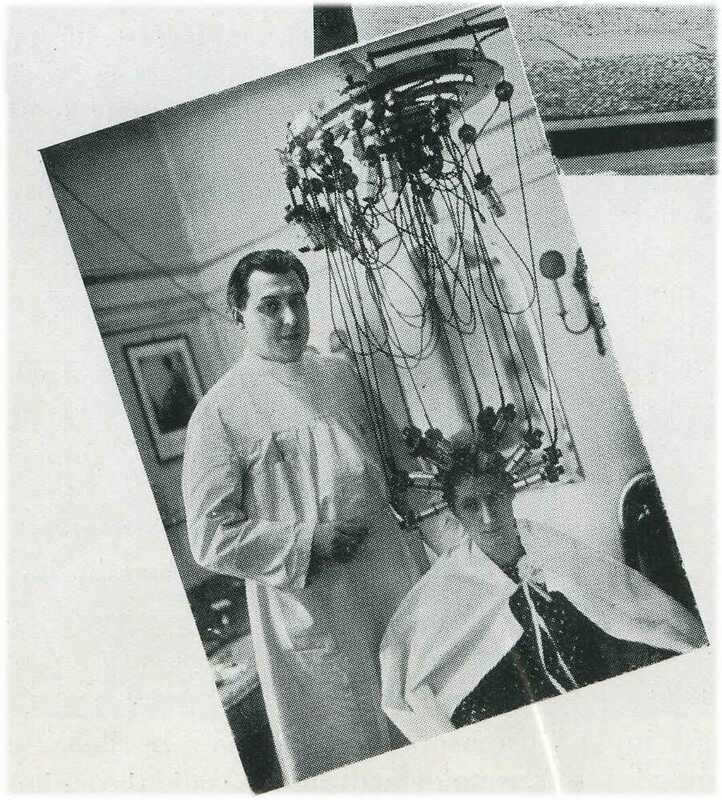 Between them they invented the Eugene Waver machine in 1923 giving ladies the curls and waves they had been looking for with a permanent wave perm, a rather large and scary machine as you can see below but well ahead of its time. 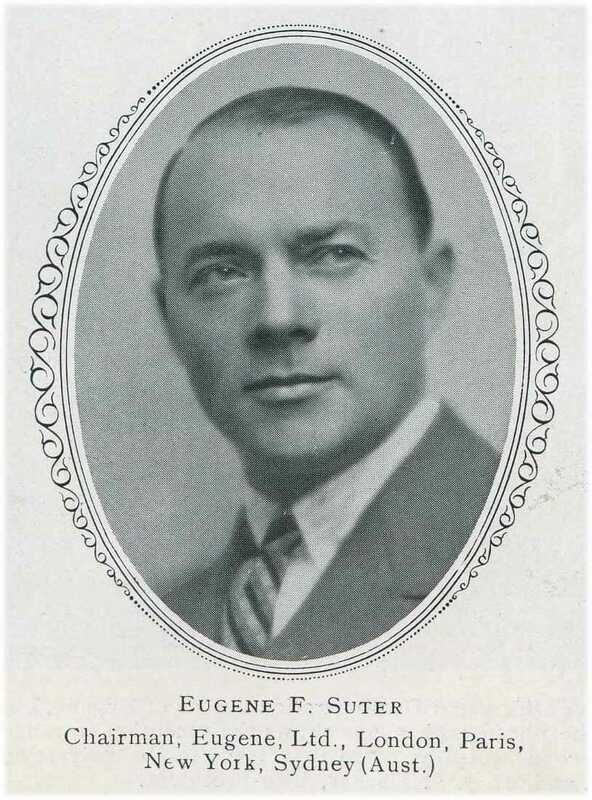 In the years 1928 to 1947 he started and produced the Eugene Waver Magazine which kept hairdressers up to date with the latest Eugene equipment and Eugene products for styling and perming. Eugene Ltd finally turned in to Suter Electrical in the 1970’s which in 1995 became REM the name everybody knows for fine salon furniture and equipment, to celebrate their centenary in 2018 Rem have designed the Centenary range of salon furniture, producing a hydraulic chair available on three different bases, styling wall unit and island unit, reception furniture, pedispa chair, nail desk and stool as seen below. 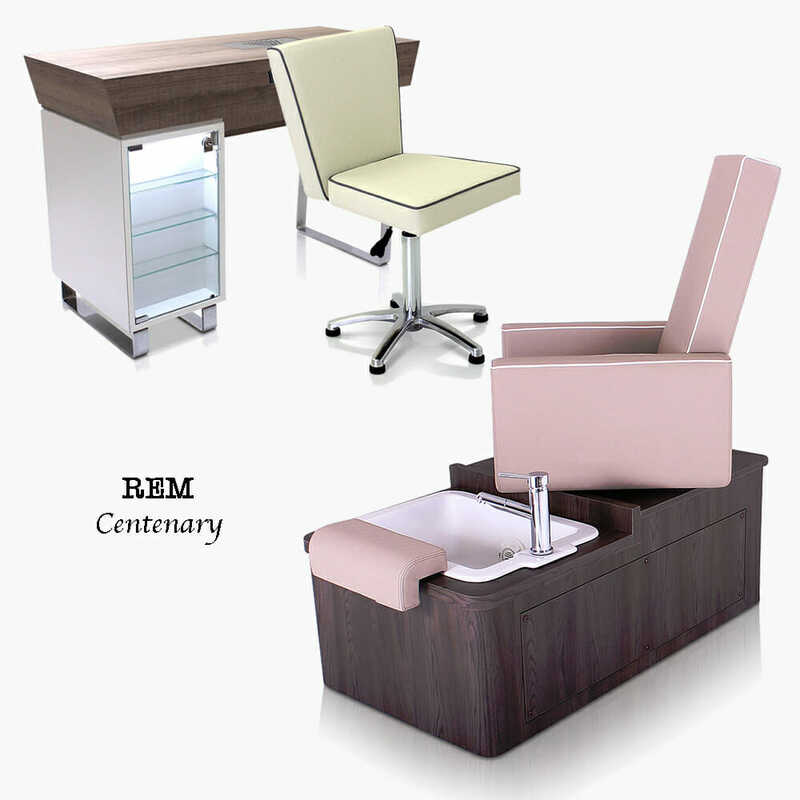 The Centenary range of salon furniture can be purchased and ordered individually or part of a package on our web site. All available with Rem peace of mind 3 year warranty, please ring for details. 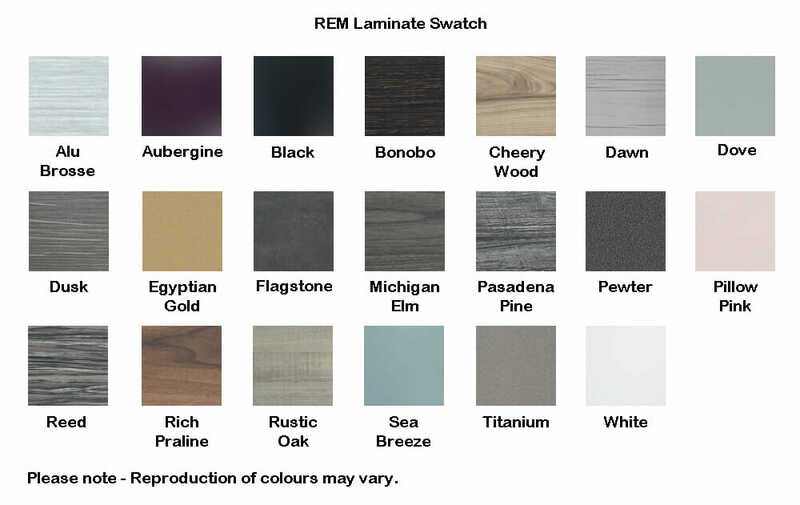 All the Centenary range is also available in any colour fabric and laminate from the large Rem range seen below. 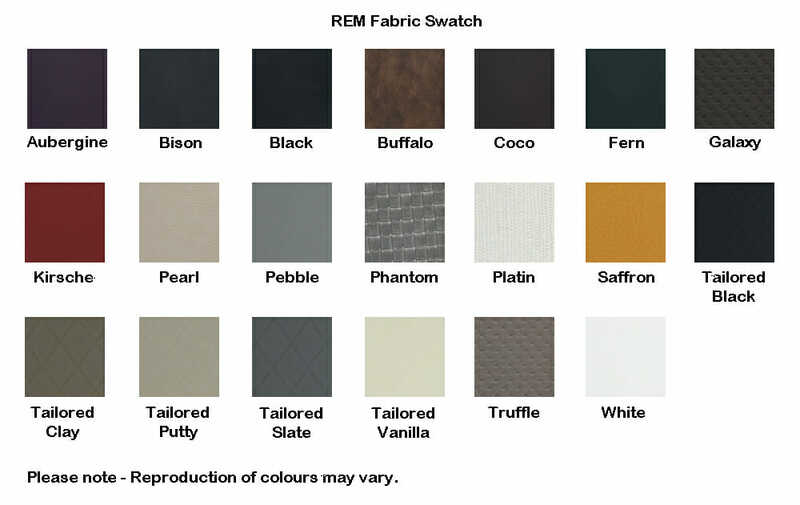 Please contact our help team on 01270 630280 for more details or swatches. This entry was posted in Direct Salon Furniture, Hairdressing Furniture. Bookmark the permalink.